Recognize your pet/s, honor a family member, and celebrate animals finding loving homes as well as all the programs the shelter has for both people and pets! If you haven’t been to our shelter recently we’ve got some big changes happening! 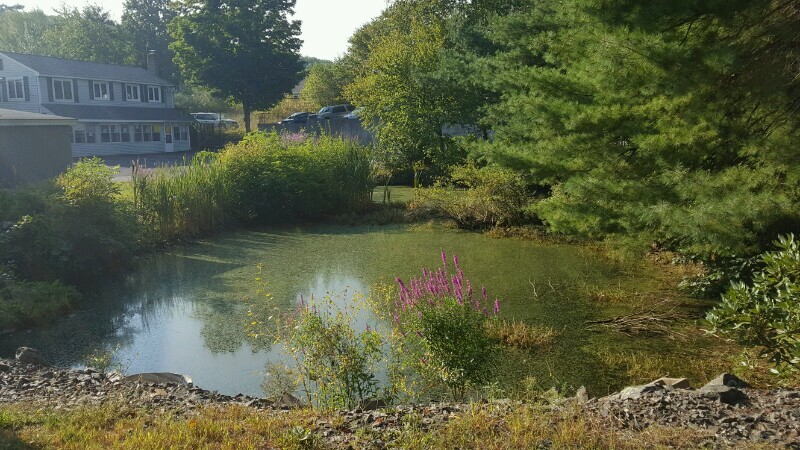 The once unusable swamp in front of the shelter is being renovated into a beautiful tranquil space that will feature a beautiful new pond. Below is what our SWAMP looked like just a few months ago June, 2016. 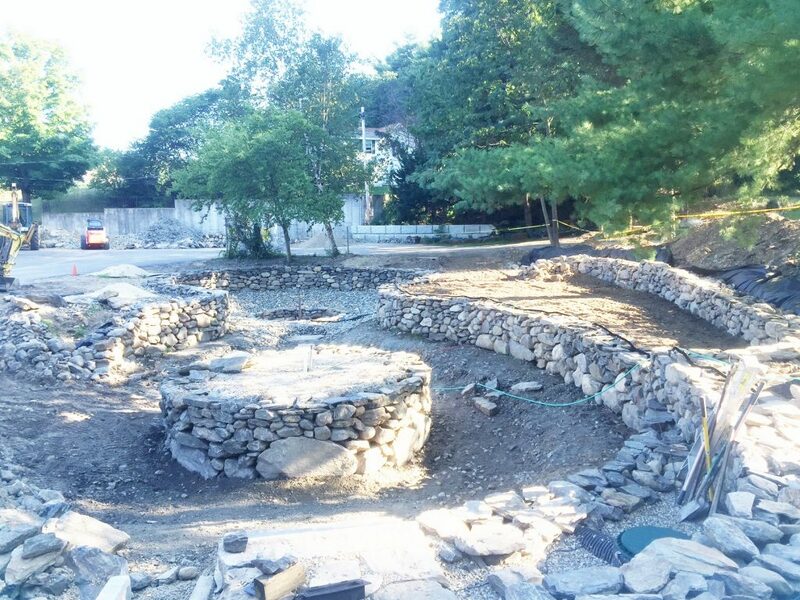 August 2016 our pond has come a LONG way – and is expected to be complete next month. 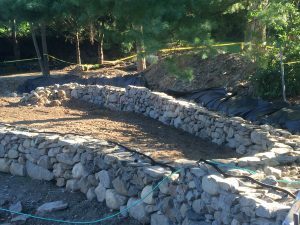 Fall 2016 Our Pond is mostly done. 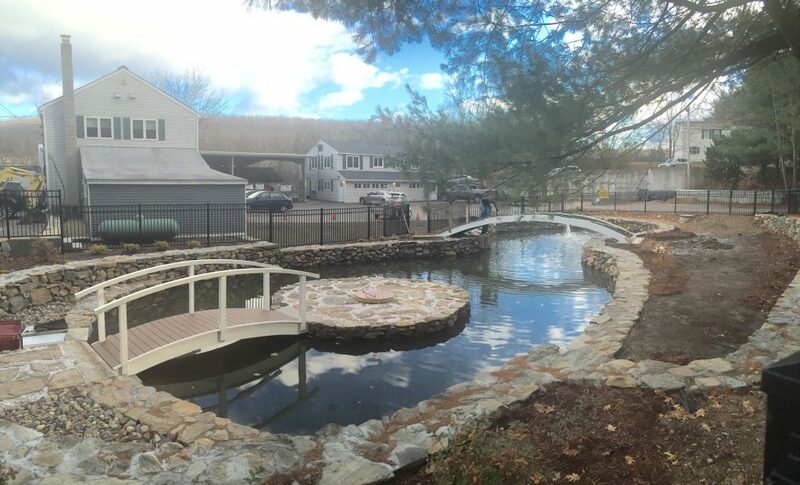 The pond renovation covers a large area in front of the shelter and will feature a figure “8” 50 x 100 foot pond –we hope to have Koi fish, fountains, bridges, and seating areas. The project is constantly evolving and is a huge work in progress. We want to provide more space for shelter visitors, offer space for potential adopters to spend time at the shelter, the ability to do meet and greets, and relax while enjoying the peaceful space. Our mission is to dedicate this beautiful tranquil outdoor space to both two and four legged friends, pet lovers and family members – to ALL of our friends, family, supporters and donors – pets both past and present and to honor both people and pets that we love, loved, or those we’ve lost, as well as those we want to remember, acknowledge or memorialize. The Path for Paws – Will be Paved with YOUR Milestones and Memories – a special way to honor a beloved friend, family member or pet – or to commemorate a milestone in your family, a gift that keeps giving…and helping to save more lives every day. Path for Paws is the perfect way to leave your permanent mark of care and compassion. 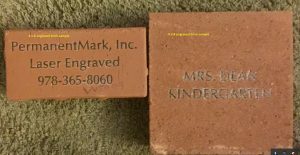 This engraved brick campaign provides a beautiful, visible opportunity to create a gift that will last for many years to come! Your brick/s will help support the thousands of pets we care for each year at the Sterling Shelter – allow us to grow our programs for pets and people – to place homeless pets into loving, lifelong homes. Each brick will become part of a large area surrounding the pond where our shelter holds a variety of special public events, including microchip clinics, vaccine clinics, educational seminars, fundraising events, monthly volunteer orientations, educational group tours for kids of all ages and more. Each brick will become part of a large area surrounding the pond where our shelter holds a variety of special public events, including microchip clinics, vaccine clinics, educational seminars, fundraising events, monthly volunteer orientations, educational group tours for kids of all ages and more. The cost for a single 8×8 brick is $300 – should you wish to order more than ONE brick we are happy to discount additional bricks for only $250 each (to receive discount on more than 1 brick – additional bricks must be ordered at the same time). 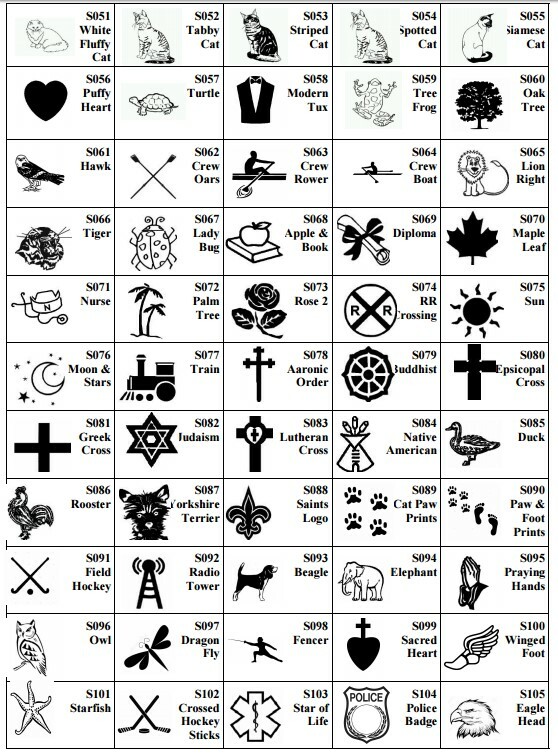 Brick Layouts WITH Clip Art – All standard clip art below is offered to your brick at NO additional cost. Please review the diagrams below to ensure proper set up for your bricks. The bricks are a classic brick red with black lettering. All brick orders are CUSTOM ORDERS – Payment in full is required before we can order your brick/s. Bricks will be ordered 1-2 monthly depending on the number of orders and generally take 2-3 weeks for smaller orders. Larger orders could take 6-8 weeks. 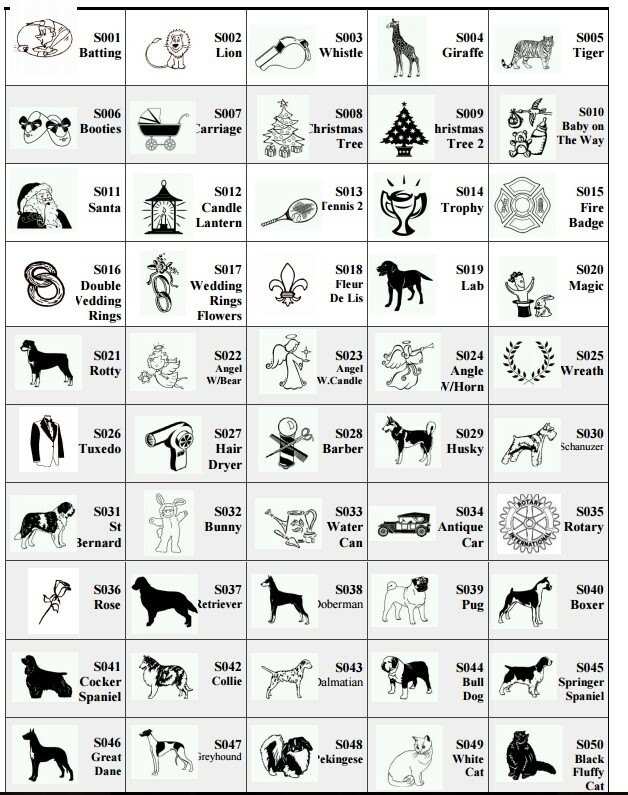 CLICK HERE 2016-final-sterling-shelters-fundraising-brick-campaign-for-4×8-and-8×8-bricks PRINT AND FILL OUT ORDER FORM WITH PAYMENT INFO ON PAGE 3 AND 4 AND RETURN TO THE SHELTER. Sterling Shelter’s PATH FOR PAWS Commemorative Bricks Engraved bricks will be placed as soon as the pond is complete and as they are ordered and arrive. The bricks will be laid in a beautiful area located around the new pond for all shelter visitors to admire. Should we fill the area around the pond we will continue mounting the bricks on the enormous retaining wall to the right side of our parking lot as you pull into our parking area. We’ll even provide you with a receipt for your taxes! 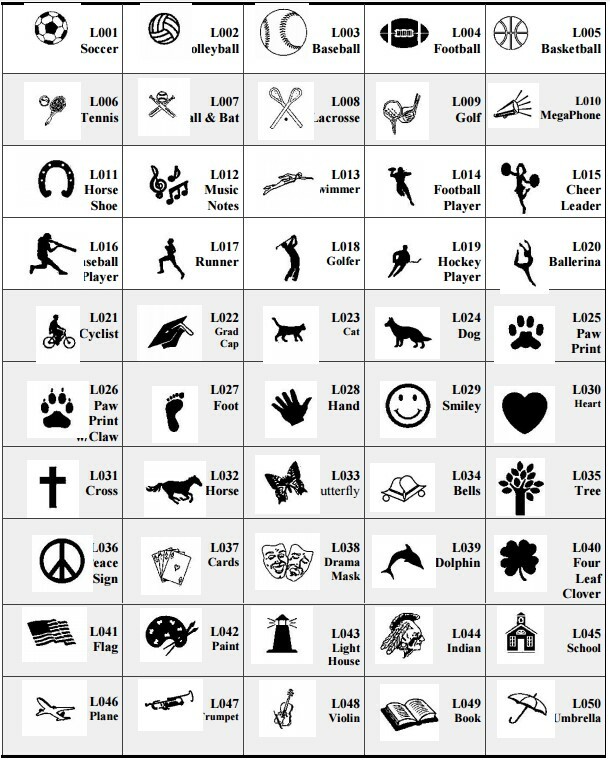 For those who chose to purchase a brick with CLIP ART – you can see the dozens of options below – Remember there is NO additional charge for the clip art below…. simply choose a graphic add the description and clip art # to the order form and indicate if you’d like the clip art to be on the left side OR right side of the text being engraved onto the brick….